Depend on stylish promotions for your formal affair when you hand out the Black Tie Postcard in advance. 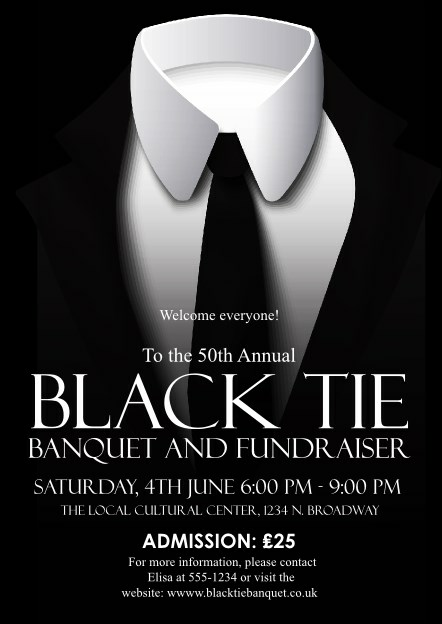 This opulent template has ten lines for event details, all on a deep black postcard. Give them to potential guests or leave them with supporting businesses so you can get a big turnout for the big night! Send a sophisticated message with the right postcard from UK Ticket Printing.